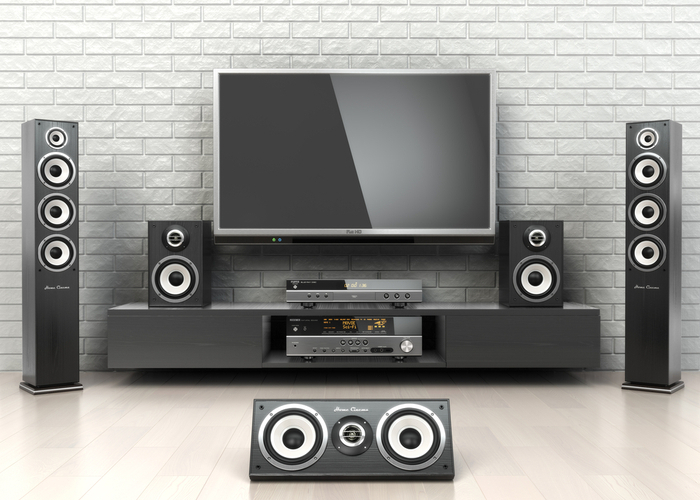 What are Home Audio Speaker Systems? What Your Choice Depends On? Looking for an audio speaker system for your apartment or house? Finding difficult to decide whether you should buy wired or wireless speaker system? We have some good news for you! Stay with us and we will try to help you find the right solution for your home. Before we start explaining which speakers are the best for you and throwing bunch of new terms at you, let’s stop for a second and answer one of the most important questions related to this topic – what are home audio speaker systems? Some might find this expression strange and unfamiliar but this is, in fact, nothing new. Most of you have already had some kind of audio speaker systems because, by this term, we actually mean any type of speakers used in somebody’s home. As you probably already know, there are different kinds of speakers and speaker systems that you can use in your house/apartment. Some people find it very difficult to find the right product, others think that these systems are too expensive. In our opinion, the most difficult thing in the process of buying new speakers (and we will explain this in the text below) is to consider all the important facts and act according to them. There are some people who go to a store and come out with their new speakers but that’s really not the solution we are trying to find. Your choice depends on your lifestyle, the size of your apartment, the interior of your apartment, etc. It also depends on the speaker specifications, their performance but also on your budget. Of course, we won’t forget the user’s preferences and personal taste that is very important, especially when deciding whether to buy wired or wireless speaker system. Well, we can’t offer you the final solution and choose for you because we don’t think we can offer you a simple answer. We can’t say which devices are better because both types have their advantages and disadvantages and it really depends on many factors which type will fit better in your life and your living room. This is why we have decided to list all of the good and bad characteristics of wired and wireless speakers and try to point out which situation requires which type of speaker system. Wired speakers deliver better and richer sound. In spite of the fact that many people try to diminish the importance of sound quality, this is the fact that can’t be disputed. 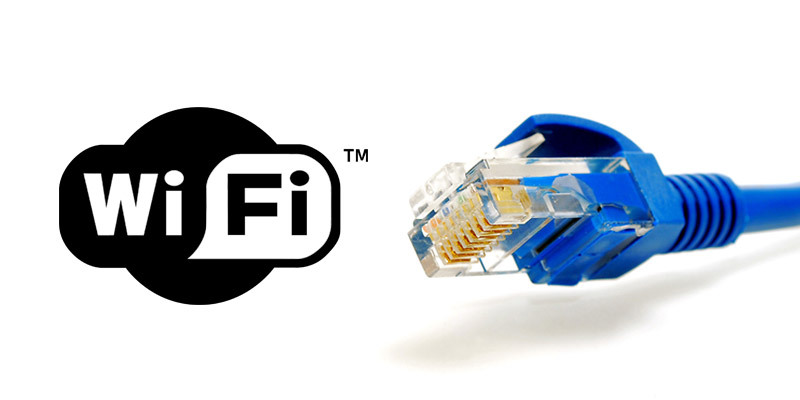 Wired connection ensures better data flow, there are no compressions that inevitably “steal” some of the data that affects the quality of the audio output. Wired connection is more stable than wireless connection. The only thing that can prevent a wired speaker from playing is the power switch. On the other hand, wireless connection suffers from sudden, unexpected, and frequent cutouts that can be quite annoying. It is more likely that a device will disconnect from your Wi-Fi than from a power supply. So, in a way, wired speaker systems are more reliable. Wired devices are considered out-of-date and traditional which makes them less expensive. This happens because the modern world is based on the competition between the manufacturers. New products are being released every day. There are many wireless speaker systems on the market and they are very popular. In order to be competitive, the companies that make wired speaker systems have to lower their prices. Regardless of the room size, wired speakers make a mess. They are not decorative and they limit your movements. With the cables scattered all over the room, there is more chance of tripping over them or damaging them. Wired speakers have limited placement options. Unless you’re installing in-wall speakers, it is practically impossible to hide all the cables, especially if you have the larger speaker system. This is why their position often depends on the place where the cables make less mess. Wired speakers aren’t pet-friendly and pet owners know that very well. When the cables are exposed, it is quite difficult to stop animals from chewing and damaging them, which often leads to the unexpected costs. Wireless speaker systems make less mess in any house. They don’t have cables and any room looks cleaner and more spacious with these devices. Wireless speakers offer more placement options thanks to the fact that they don’t have cables. Wireless speaker can be placed in the position which ensures the best performance without the user feeling trapped in cables. Wireless speakers have less chance of being damaged – you are not going to trip over the cables since there will be no cables and your pet will have no cables to chew. Wireless speakers can be easily set all over your house without any wiring. One of the main problems with wireless devices is their performance. Wireless connection means wireless data transfer. In order to accomplish wireless data transfer, some kind of compression has to be done and this is what causes lower sound quality. No matter how the manufacturers are trying to improve the connection, they have still been unable to solve this problem completely. Wireless connection has problems with disconnecting and signal cutouts that can sometimes destroy your listening experience. Wireless speakers are often much more expensive than wired ones. Some of the wireless speaker systems consist of the main speaker that is actually connected to the power supply through power cable while it is wirelessly connected to other speaker speakers or subwoofers. Wireless devices have limited signal range and this is very important when you want to play music from your phone or to set up your wireless speakers in different rooms in your house. As we have previously mentioned, your choice shouldn’t be affected only by the speaker design or good performance. There are many other things you should consider when buying a home audio speaker system and we have tried to mention the most important ones. First of all, there are the size and acoustic properties of your apartment/house and the area that is supposed to be covered with sound. In case you need speakers for a small room, you can go with small bookshelf speakers supported by a good subwoofer that can make and raise your listening experience to a completely different level. Also, if you’re looking for an upgrade for your TV speakers, a system that consists of a soundbar and a subwoofer can also be a good solution. In case you want to have speakers in all the rooms, you can buy some large wireless multiroom speaker system that will be easier for placement. There are also wired in-wall speakers that can be installed all over the house. You can paint them and match the color of the speaker to the color of your walls and make them less obtrusive or practically invisible. Second of all, you should think about the purpose of your speakers. If you’re going to use them for casual indoor listening, you can save some money and buy some bookshelf speakers or a soundbar system. On the other hand, if you need party speakers that will be placed in a large room or used outdoors, you might consider buying powerful floor-standing speakers that can deliver full-range sound and be very loud. In addition, don’t forget about your budget. You have to be aware that floor-standing speakers and larger speaker systems, especially wireless ones, can cost up to a few thousand dollars. If you don’t have that kind of money, don’t bother. For a few hundred, you can get amazing bookshelf speakers. Last of all, pay attention to the specs because the information about frequency response, impedance or sensitivity can tell you how low or high your speakers can go, how loud they can be, etc. If you get a chance to hear the speaker system in a store or in a friend’s house, do that because you can’t really know whether you like the sound or not until you spend some time listening to the speakers.